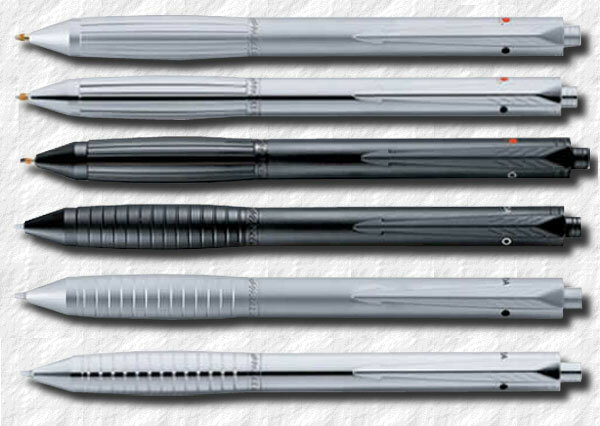 he Executive was introduced by Parker in 2008 and was described as a sleek multi pen. It was a quattro multifunction system ment to be a mobile solution to optimise space. The Executive was an all metal pen and while the body and push button was of a very square design, th gripping section was fatter, bulging, to provide a better grip. There were two versions. The Highlight had engraved vertical lines on the section and contained a medium, black ball pen, a medium, blue ball pen, an orange highlighter and a pencil with 0.5 millimeter leads. he second version was called Data and was engraved with overlapped horizontal lines on the section. It was fitted with a medium, black ball pen, a medium, red ball pen, a data stylus and a pencil like the Highlight.